The course is based on extensive clinical experience, comprehensive research of current literature and evidence based knowledge. Click the button below to go back and see the other available courses. 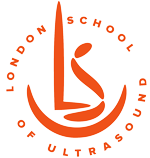 Advanced Ultrasound and Fetal Medicine Course: diagnosis and management of facial and thoracic anomalies. Micrognathia, midfacial hypoplasia, facial clefts, cystic hygroma, tumours, CDH, CHAOS and many other serious conditions and anomalies. The aim of the course is to raise awareness for a wide range of fetal anomalies and to provide ultrasound professionals with substantial skills and knowledge to facilitate the routine scan properly every time. Various fetal anomalies will be discussed with specific attention for their clinical significance and management, including the principles of scanning and counselling. The delegates will learn what can be achieved today in early diagnosis of fetal anomalies.